Epsom Derby day is one of the year’s biggest, and William Hill has got the offers to match. If you’re quick enough, William Hill is offering 6/1 tomorrow on Cliffs Of Moher, one of the frontrunners to win the headline race. As if that isn’t enough, William Hill is paying five places each-way on the Epsom Dash and 2 Clear is available in every race at Epsom and Lingfield. *6/1 Cliffs Of Moher price will be available from 08:30am Saturday 3rd June, price subject to fluctuation. 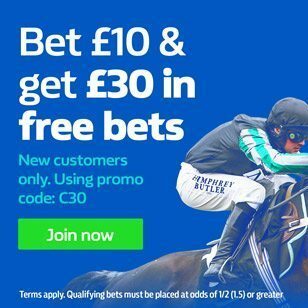 Bet on the Epsom Derby at Will Hill! Find our complete list of William Hill codes here.